Maintain Support System: Utilizing your support system allows for a healthier and happier life. Sometimes the best way to release stress is a shoulder to cry on or just a listening ear. Treat Yourself: Find what brings you happiness. This could mean something different for everyone. Pamper yourself to a massage, manicure/pedicure, sipping on your favorite cup of coffee, or reading your favorite book. Making yourself a priority does wonders for your mental health. Exercise: Exercising provides a release in endorphins, a distraction from stress and a support system if working out with others. Exercise is beneficial, not only physically, but also mentally. 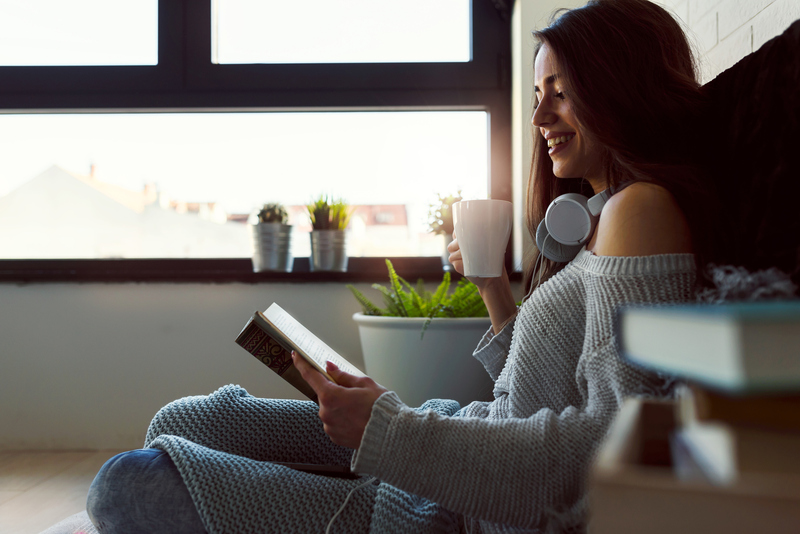 Weekly exercise, whether that’s signing up for classes to hold yourself accountable or at-home exercises for affordability and convenience, is the perfect time to clear your mind and focus on what’s important – you. Get Enough Sleep: Lack of sleep can negatively impact your ability to deal with stress. Getting into a bedtime routine will help you fall and stay asleep allowing you to begin each day with a fresh start. Plan Ahead: Using an agenda allows for you to see what you have in the upcoming weeks and to plan according. This helps reduce stress by using time management skills, prioritizing events and visually being able to see what your week looks like. Completing “to-dos” brings a sense of accomplishment and organization to your day-to-day, lowering stress when having a lot on your plate. Maintain Spirituality: Research shows that those connected spiritually lead more positive, happier lives. The power of prayer is a way to reduce stress. If you are not connected to a faith or religion, meditation is another excellent way to center yourself and release negativity from your mind, body and soul. 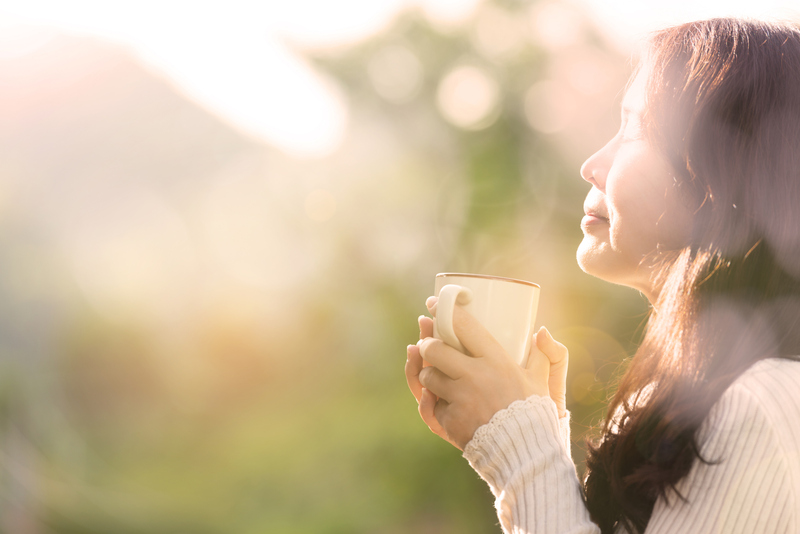 If you and/or someone you know could benefit from increasing self-care and reducing stress, The Summit Counseling Center has therapists at both our Main and Satellite locations. To schedule an appointment or for more information call 67-893-5300 or visit us at www.summitcounseling.org. Self-Compassion allows us to manage negative self-talk, perfectionism, people pleasing and judgmental thinking. Self-Compassion increases our resilience to suffering, shame and failure. In order to understand Self-Compassion, it is helpful to first reflect on what compassion is and what it feels like. Compassion happens when we recognize the suffering of another. We can only recognize the suffering of another if we are mindful or pay attention. It is possible to go through life ignoring the suffering of others or pretending it doesn’t exist. If we ignore a homeless person as we pass them on the street, it is unlikely that we will feel compassion for them. So, step one of compassion is paying attention and acknowledging suffering when we see it. Compassion involves a non–judgmental stance. A non-judgmental stance means we acknowledge that we are all imperfect and that failure, suffering and struggle are part of our common human experience. We realize that “There go I, but for the grace of God”. Self-Compassion is simply applying these same concepts to ourselves. 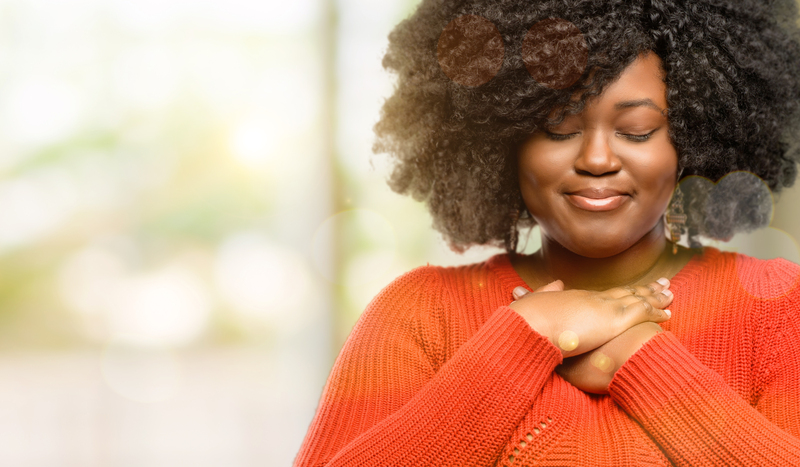 When we are in the midst of a struggle, failure or suffering, self-compassion means we treat ourselves the way we would treat someone we love. Too often when we are suffering we tell ourselves, “ I am not enough”, “I am alone, these things only happen to me”, and “If I was only skinnier, richer, smarter or prettier, this would not be happening to me.” Those are the words of the Perfectionism trap and not how we would speak to someone we love. Cultivating or practicing self-compassion means letting go of perfectionism. Self-Compassion involves self-kindness, common humanity and mindfulness. Self-kindness: Instead of ignoring our pain or beating ourselves up when we our suffering, self- kindness means being warm and understanding towards ourselves. Common Humanity: Common humanity means that we recognize that we are not alone. It is a common human experience to have feelings of personal inadequacy and suffering. Mindfulness: Mindfulness means that we do not exaggerate or suppress our negative emotions. It is important to recognize and understand our suffering: to name it and claim it. At the same time we do not want to over identify with the pain and emotions because it can increase our suffering. Mindfulness allows us to take a balanced approach and a compassionate stance to our situation. Since the beginning of time, siblings have been at each other’s throats. It’s one of the most frustrating things for parents and one of the most difficult things to manage. The tattling, the bickering, the never-ending shout for mom to settle things…. it’s exhausting. Sometimes rivalry starts when kids are trying to define who they are by standing out from the siblings. Sometimes it starts when one kid gets better grades than another or when a younger sibling gets a privilege sooner than the older sibling did. Sometimes, personalities just clash. Whatever the cause (and there are many), dealing with it is a major parenting challenge. One of the first ways to minimize sibling rivalry is to not play favorites. This seems like such an obvious thing to most parents, but we often show favoritism in subtle, unintentional ways. Parents may not even realize that they are playing favorites, but children feel it none the less. Children feel favoritism when we get onto them more than their siblings (even when they act up more). They feel it when we spend more time helping them prepare for baseball tryouts. They feel it when we talk about their sibling more. Sometimes it is necessary and even unavoidable to engage in these behaviors but when they persist over time, sibling rivalry can fester. Therefore, be mindful of your actions. When one child is shining above the others for whatever reason, make sure to notice the wonderful things your other kids are doing as well. When one child gets extra attention because they are struggling in school, make sure you set aside some one on one time with your other children so they don’t feel left out. Another way to minimize sibling rivalry is to allow each one of your children to find their talent or passion and enjoy it with them. While it can be challenging to find time to make it to every child’s activity, do your best to make it to as many as possible. And when you can’t be there, ask them how it went. Get the details and really listen. They need to know that you are interested. It’s tempting to sign our kids up for the same sport or to play the same instrument. We think if one kid likes it, the other is bound to. When our kids are all involved in the same thing, we inevitably compare them to each other and that can lead to rivalry. That naturally happens enough in other areas. Instead, we need to listen to our kids, hear where their interests lie, and find a way to help them pursue their unique passions. A third way to minimize sibling rivalry is to make sure you model healthy conflict resolution skills. We are our children’s number one role model. They watch us like hawks and often mimic our behavior. If they see us irritating our spouse on purpose, they might do the same with their siblings. If we make passive aggressive comments to our neighbors, they will learn that it’s okay to do the same. When we argue with our spouses, our children need to see us apologize and make amends. Sibling rivalry isn’t always avoidable. Sometimes children struggle with resentment when a baby comes into the world. Sometimes children have a naturally competitive spirit. Sometimes they are just tired or bored and looking for entertainment. However, when parents take steps to make each child feel special and loved for who they are, sibling rivalry can be a passing phase. Much like a wife desires a husband to hear about her day before coming up with solutions for her daily difficulties, our children desire the same from parents. Too often we as parents accelerate past the consoling portion of the parenting process (because nothing is more painful for a parent than seeing the pain and anguish in our little loved one’s eyes…), but when we cheat this part of the process – underwhelming results occur. To the chagrin of every work-smarter-not-harder person out there, a parent can come up with the most brilliant advice on the planet to a struggling son or depressed daughter, but it won’t land as well if that same child feels alone or sees him or herself as some problem to be fixed. We must first sit in the trenches of our just-returning-from-school kid, open our ears, and quench our curiosity to each child’s uniquely daily experience. That means being sad with them when they did poorly on a test, sharing in their frustration in being assigned too much homework, and getting angry with them when they feel slighted or unimportant with their group of so-called friends. 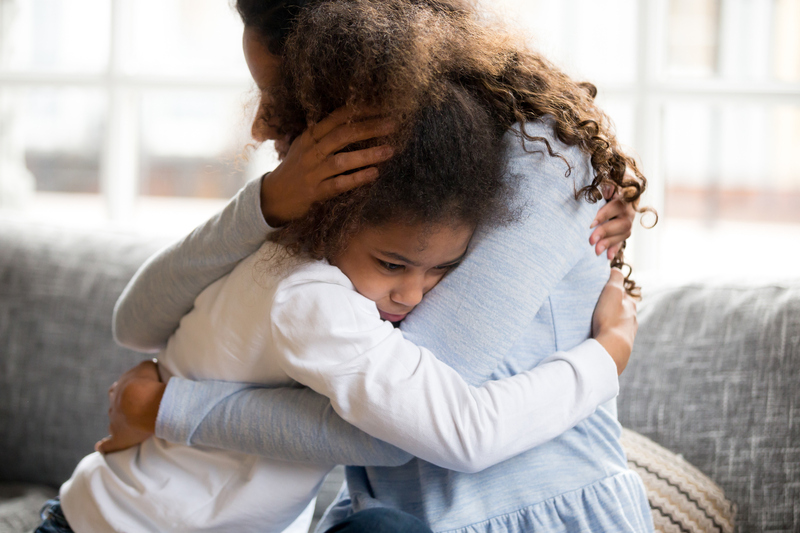 Joining our children in their pain gives a parent credibility in their eyes – credibility that they cared enough to sit with them through their ranting and raving, and credibility in not coming across as another know-it-all adult whom knows how to find a solution before the problem has a chance to be fully unpacked. Make your children the expert on their crappy day, and they just might listen to your expertise on how to get through it next time. Do our brains protectively block our own recall of memories of traumatic experiences? Repressed memories are thought to be blocked from one’s conscious awareness due to a high level of stress or trauma associated with the forgotten experience. The validity of repressed memories – also referred to as dissociative amnesia or psychogenic amnesia – has been a controversial topic in psychology and psychiatry for decades. Surveys of mental health practitioners have revealed that practicing clinicians tend to be less skeptical of the validity of the phenomenon of recovered or repressed memories than memory researchers.2 One reason for this trend may be that the veracity of some memories that have apparently been “recovered” through the course of therapy has been documented using corroborating reports. Memory experts, however, tend to be cautious in assuming that all such memories are factually accurate, or that they had actually been inaccessible prior to the therapeutic recovery. Memory experts also point to the possibility of confabulation in memory retrieval, which is the non-intentional false recall of experiences that “feels real” to the person experiencing the memory. Confabulation is a well-documented phenomenon associated with frontal lobe dysfunction. While the validity of the phenomenon of repressed memories remains controversial, there is agreement across mental health professionals that highly traumatic events are likely to trigger a cascade of emotional responses. 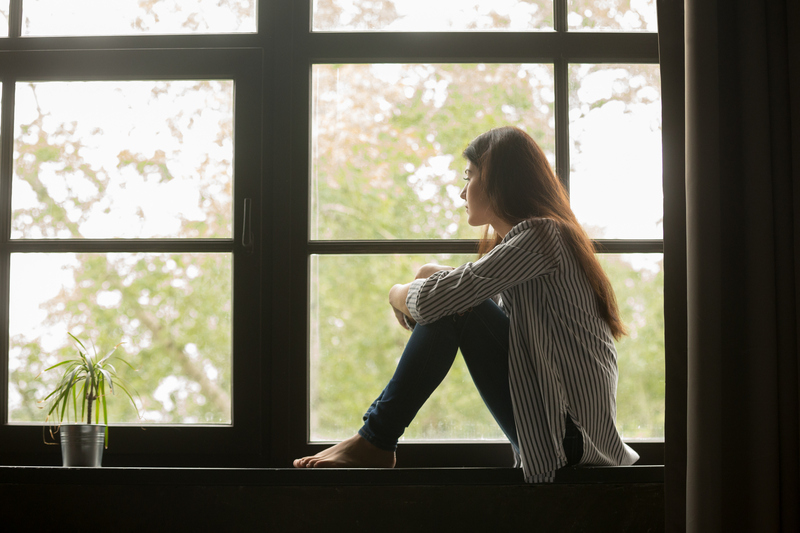 Experiencing traumatic events can lead to a host of problems, including anxiety disorders, post-traumatic stress disorder (PTSD), and depression. Treatment of the symptoms associated with these disorders is essential for healing and wellness following trauma. At the Summit Counseling Center, we provide psychological evaluations for emotional and cognitive disorders, along with treatment of emotional problems. Psychological evaluations help identify paths to healing and improved well-being. Please contact psychologist Rebecca L. Marshall, Ph.D., at the Summit Counseling Center (678-893-5300) for more information. 1 Pope, H.G. Jr., Poliakoff, M.B., Parker, M.P., Boynes, M., and Hudson, J.I. (2007). Is dissociative amnesia a culture-bound syndrome? Findings from a survey of historical literature. Psychological Medicine, 37 (2), 225-233. 2 Patihis, L., Ho, L.Y., Loftus, E.F., and Herrera, M.E. (2018). Memory experts’ beliefs about repressed memory. Memory, Oct 7:1-6. Dialectical Behavior Therapy (DBT) is a specialized type of cognitive therapy that focuses on helping individuals regulate their emotions, tolerate painful emotions, and maintain relationships with others. One of the skills DBT focuses on is self-soothing. Self-soothing is your ability to cope through a situation without the help of others. It’s helpful and important to be able to self-regulate and soothe your own emotions related to a stressful or irritating event. You can think of self-soothing skills like having your own tool kit to get through distressing situations that may trigger feelings of anxiety, depression, loneliness, sadness, boredom, stress, or anger. There are many ways you can self-soothe, but let’s talk about soothing with the 5 senses to get your started. You can even try putting together a self-soothing kit to use when you need it! Taste – Try getting a cup of tea or a piece of your favorite candy. Notice what the tea or candy tastes like. Touch – Wrap yourself in a warm, soft, fuzzy blanket or sweater. What does the blanket feel like on your body? What does the texture feel like? Is it soft on your skin? Sight – Pick a picture of a happy memory. Observe the photo and notice what feelings or thought occur. Describe the memory to yourself or continuing observing the photo. Hearing – Put on your favorite song by using your phone. Listen to the words or the instrumental parts of the song. Notice any feelings, thoughts, or physical sensations that come up. Smell – Use your favorite perfume, cologne, scented lotion, or essential oil. Smell the scent and notice what thoughts or feelings come up for you. You might remember a happy memory or you might feel relaxed. If you or a loved one are struggling to regulate your emotions, handle painful emotions, or maintain relationships please consider calling The Summit Counseling Center to schedule an appointment with an Intensively Trained DBT Therapist or get information about our DBT Skills Groups by calling 678-893-5300 or contacting us via our website www.summitcounseling.org. As spring break and summer nears, you may feel a little bit of body anxiety or insecurities creeping up. We have all heard phrases such as, “It’s swimsuit season, I need to diet” or “I need to work on my beach body!” If so, you may feel insecure about the way you look, feel uncomfortable in a swim suit, experience negative judgments about your body, or notice that you are comparing your body to other people’s bodies. 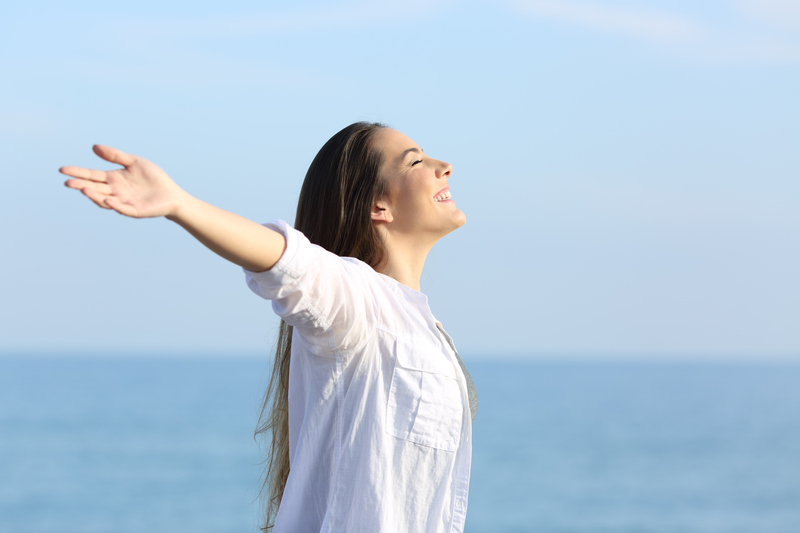 If you are struggling to feel confident in your own skin, try a few of these tips! No person looks the same; our bodies are all different and unique. When you compare your body to another person’s body, you’re making the assumption that you are supposed to look the same. Health comes in many different shapes and sizes. Sunflowers and roses look very different, but both are beautiful. When you compare, try asking yourself how this impacts you and if it’s a realistic comparison. This will give you information about your behavior and why it’s not helpful or accurate. Take some time each day to remind yourself what certain parts of your body do for you. Do your arms help you paint? Do your legs help you get to where you need to go? Even thinking about your ability to breathe – your body is pretty impressive. If You Avoid Your Body, Stop! Sometimes our reaction to shame or insecurity can be to avoid. If you tend to avoid looking at your body or wearing swim suits and summer clothes, the most helpful thing for your body image is to face your body. Start getting to know your body and spend time with it. Remember to focus on your whole body – not just the parts you dislike. This will help you learn to know and appreciate your whole body! If You Check Your Body, Stop! Other times, our reaction to insecurity or anxiety can be to check, hyper focus, or obsess. 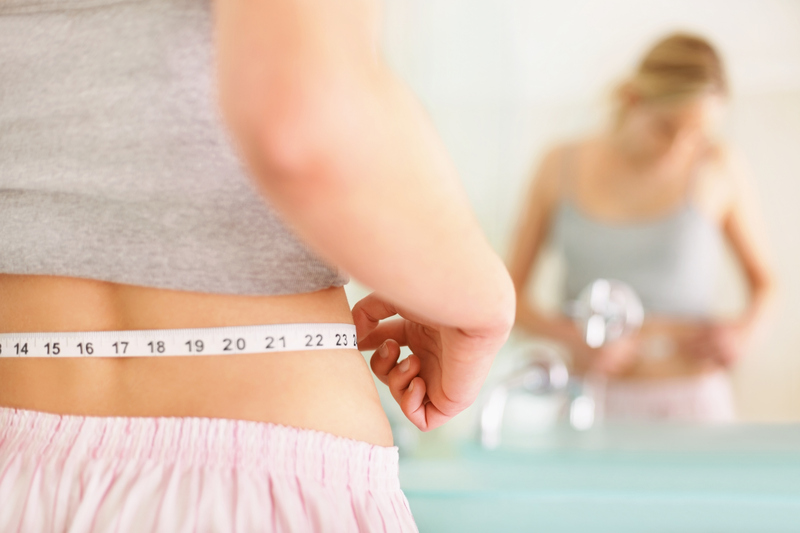 This might mean constantly weighing yourself, spending a lot of time in the mirror, or pinching areas of the body to check for fat. Try to challenge yourself to notice this behavior when it happens and reduce the amount of times you do it or refuse to use the checking behavior. Try using self-soothing behaviors instead such as coloring, drinking some tea, listening to music, or talking to a friend. If You Want a Beach Body – Take Your Body to the Beach! There is no perfect body. Try to remember, that at the end of the day, you’re only human. Everyone has things they do not like about themselves and no one feels 100% confident every day. What’s important is checking in on the judgments, noticing how you talk to yourself, and noticing how it impacts you. Sometimes body anxiety or insecurities can lead to problems with eating habits or food anxiety. If you’re struggling with body image, eating habits, and/or food anxiety, please consider calling to make an appointment with Julia Harris at the Summit Counseling Center. You can contact us by calling 678-893-5300.